Sometimes comedy is all about the timing: The Yellow Fever epidemic that swept through Philadelphia in 1793 was absolutely not funny at the time when it left 5000 Philadelphians dead. “But more than 200 years later, we can laugh at the ridiculous treatments that heaped even more misery upon the epidemic,” said Dr. Michael Yudell, who studies the history of public health as an associate professor and director of the initiative in public health ethics in Drexel’s School of Public Health. 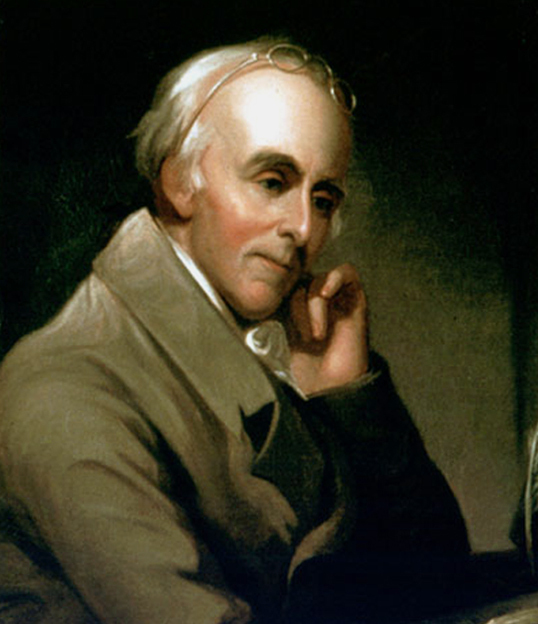 Benjamin Rush advocated bloodletting the majority of the body’s blood supply as a treatment. He also believed the body had about twice as much blood as it actually does and therefore bled many patients to death. He meant well. In subsequent two years of the festival, Yudell and another comedy team within the Philly Improv Theater group (Asteroid!) have reprised the concept of history-of-science comedy in a more spontaneous format: First, Yudell delivers a prepared monologue of a story from the history of science, medicine and public health. Then, in a technique called “Armando,” the Asteroid! team uses elements of that story as inspiration for an on-the-spot performance. “They can take complicated historical material, make it completely accessible in an absurd way and also draw out life lessons in their comedy,” Yudell said. This week they’ll do it all over again in a longer Armando-style show, called “Study Hall,” as part of the FringeArts festival in Philadelphia. Thursday through Sunday evenings September 19-22, they are performing a different one-hour improv comedy show each night at the Adrienne Theater. Tickets are available here. Yudell has prepared four to six unique monologues for each night’s performance, each of them selected from his knowledge base in the history of science and his instinct for what will tickle a funny bone. “These are just ridiculous things I have stored in my head,” Yudell said. Stories could run the gamut from Yellow Fever to the history of condoms and STDs to how germ theory is responsible for turning bathrooms into the porcelain palaces we know today – and many more stories Yudell wouldn’t disclose in advance. On a serious note, Yudell also pointed out that the history of science, medicine and public health is not just entertaining, but instructive: “These issues are not simply academic. I see public health and science and their histories as having an impact not just on science, but on society,” he said. There are important lessons about the dissemination of knowledge and how scientific knowledge is applied in both good and bad ways. Yudell’s next book, on the history of race as a concept in science, is slated for release in the spring of 2014 from Columbia University Press. In the meanwhile, Philadelphians can laugh and learn at the same time at Study Hall. Spontaneous comedy from brutally honest science. 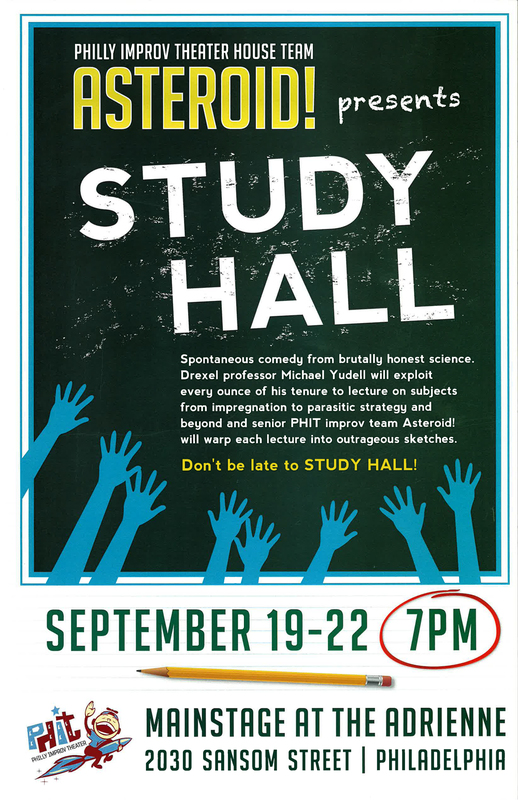 Drexel professor Michael Yudell will exploit every ounce of his tenure to share subjects from impregnation to parasitic strategy, and senior PHIT comedy team Asteroid! will use their every impulse to warp each lecture into ribald sketches. A favorite of the annual Philadelphia Science Festival! September 19-22, 2013, 7-8 p.m.